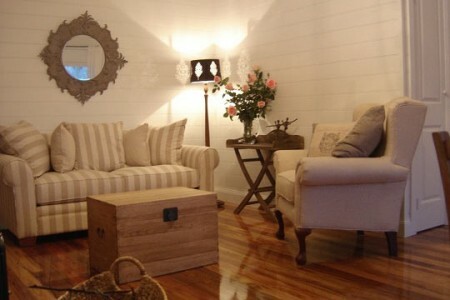 Fernbrook Cottage offers comfort and luxury in a French studio style. Enjoy the cosy wood fire, a cooked breakfast basket, spa, fluffy robes, quality linen, kitchenette , BBQ on your private verandah overlooking the garden, natural setting and mountain views. Located, in Marysville, perfect for shops, walks & Bruno’s Sculpture Garden.